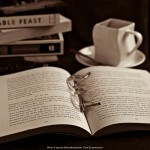 I love survival books! They’re all part of my plan to be prepared for the Zombie Apocalypse. 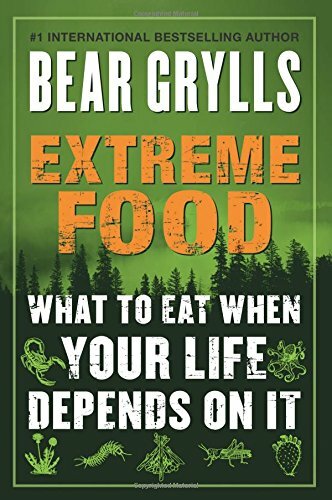 And after reading Extreme Food: What to Eat When Your Life Depends on It by Bear Grylls, I know which bugs I can cook, which mushrooms to avoid, and that if the situation is ever so dire that my best food source is a saltwater crocodile, I’m doomed. This book is full of disclaimers, and rightly so; wilderness survival is something that takes years to learn. Anyone who thinks they can learn everything they need to know about foraging for mushrooms or stalking wild game from a book is probably too dumb to survive in the wild for very long anyway. But there are some tips here, and some ideas that will make you think about what’s really in the woods and wild spaces around you. 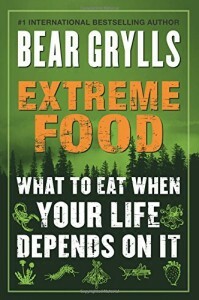 The one thing that really struck me as strange in this book is that even though the title talks about “when your life depends on it” – meaning extreme survival situations – Grylls often takes time out to remind readers to check local regulations to see if they need a fishing license and to familiarize themselves with wildlife that is endangered and therefore off limits for hunting. Personally, if I’m starving and I can catch it, I’m eating it, local regulations be damned, but it’s startling to think that you could be in a life and death survival situation in a place that requires a fishing license. It’s a good reminder that you don’t have to go too far into the wild to get yourself in trouble. Runing out of gas on a drive through the desert would probably be enough. For me, this was a pretty entertaining read. I’m not an extreme camper and I tend to be pretty cautious, so unless I join the cast of The Walking Dead, I’m unlikely to find myself in a situation where I need these tips (although a few of them came in handy while playing Worst Case Scenario this weekend). Still, there are some good stories, the information is generally fun (if you find recipes for Frog Soup fun), and it’s a quick and pleasant read. If it were the only reference book I had while stranded on an uninhabited island, I might be in deep trouble, but I could probably use the tips on making a snare or building a homemade fishing hook. 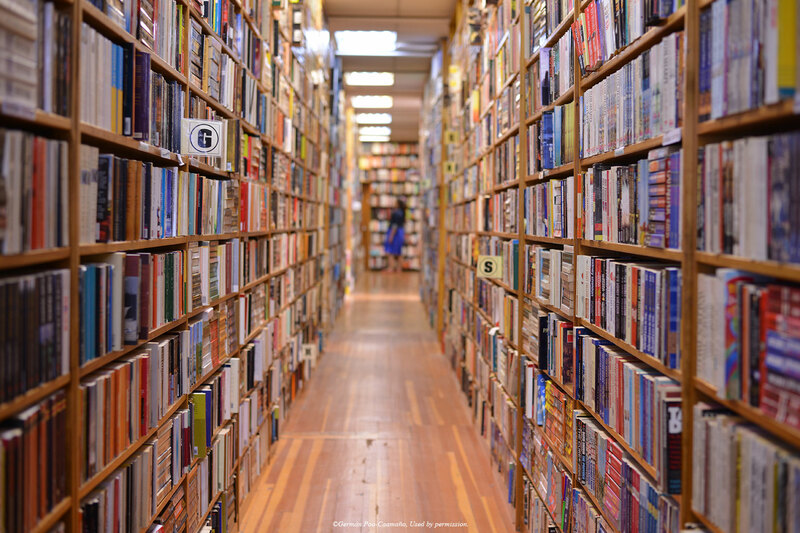 And let’s be honest, these books are far more fun when we don’t think we’ll ever need the information. My copy of Extreme Food: What to Eat When Your Life Depends on It was an Advanced Reader Copy, provided free of charge. I know just the person to buy this book for. It is definitely a specialty purchase!